Is My Inherited IRA Protected In Bankruptcy? 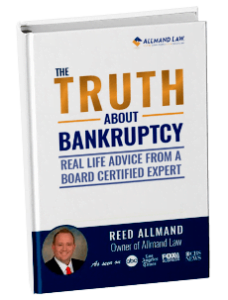 By Allmand Law Firm, PLLC|2018-11-14T23:49:29+00:00May 14th, 2010|Bankruptcy Q&A, Property Exemptions, Retirement|Comments Off on Is My Inherited IRA Protected In Bankruptcy? How Can I Keep My Car In Bankruptcy? By Allmand Law Firm, PLLC|2018-11-12T21:54:17+00:00May 1st, 2010|Bankruptcy, Bankruptcy Q&A, Car Loans / Title Loans, Chapter 7 Bankruptcy, Loans / Mortgages, Property Exemptions, Repossessions|Comments Off on How Can I Keep My Car In Bankruptcy?